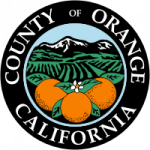 According the Orange County Register, both Verizon’s FiOS TV and Cox Communications’ cable TV service have added or will add high-definition channels to their lineups this month. With Verizon’s FiOS, customers can apparently already get six more HD channels that include: MTV HD, VH1 HD, CMT HD, Nickelodeon HD, Spike TV HD and Comedy Central HD. For customers who subscribe to Cox Communications, the cable company says they will add nine new HD channels beginning July 28. Those new channels will include: FX HD, BET HD, MTV HD, VH1 HD, Spike HD, CMT HD, Comedy HD, Nickelodeon HD, and Cartoon Network HD. The OCRegister article says Verizon leads the HD channel lineup with a total of 127 HD channels. Cox Communications trails by less than half that number with a total of 62 HD channels.